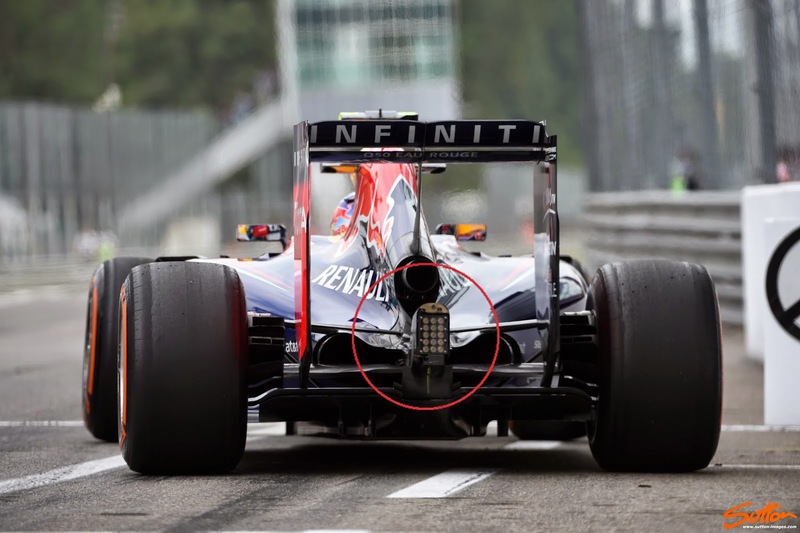 Since the start of the season Red Bull have approached the loss of the beam wing differently to the rest of the field. As we can see below the team have continued to place a slice of beam wing in the Y100 position that the old beam wing used to occupy. It's used in order to unify the airflow structures in the region, connecting the diffuser with the exhaust plume and that with the rear wing. For Monza (below) the team have done away with the slice, in order to reduce drag. Connecting these airflow structures of course increases downforce and although we often tend to agree that the diffuser creates less drag for the amount of downforce it can generate, (when compared with a wing) creating upwash structures (of which the Y100 beam wing slice assists in) inherently lends itself to an overall increase in drag. Love your tech bites. I am not seeing RB's winglet for the first time here, but I like how you've put it in perspective.